Say you’re playing basketball. You dribble past your defender into space. It’s a long way from the net, but you’re confident – you’ve been practicing for way too long. You take the shot, just as the defense scrambles to get in front of you. Too late. You timed it perfectly. The ball leaves your hand with enough backspin to make a table tennis player proud. It takes off at the optimum 45 degree angle, maximizing distance to power. Swish. 2 points for you. Back on defense. The guy who was just guarding you dribbles up court. Clumsily, he hangs around the edge of the3-point line. You stand alert, daring him to make his move. He puts up a half-hearted jab to your left. You don’t bite. Another jab, this time with as much persuasiveness as an insurance salesman trying to sell you keychains. You stand firm, glued on him. With some unease, he sizes up the basket. He puts up a shot. It is the ugliest thing you’ve ever seen. The ball groans as he chucks it forward from chest-height. The instant the ball leaves his brutish grip, your opponent spasmatically freezes into a poor excuse for a follow-through, as if he only then remembered his coach’s insistence on proper form. The ball crashes through the air with as much grace as a hand-grenade, clipping the front rim at an impossibly horizontal angle. The shot actually had top-spin. Which pushes the ball slightly forward as it rebounds high off the front rim, and falls square through the net. Swish. 3 points for him. If you’re standing in the 2-point area, no matter good you are, you will never get 3 points. And if you’re shooting outside the 3-point line, no matter how bad you are, you will get 3 points if the shot falls. If you want an A, you have to do things which the rules say will give you an A. It does not matter how much (or how little) you work or even how good you are at the subject. If you want an A, do things which give you an A. Now you’re probably asking – how do I know what gives me an A? In case you haven’t realized, the entire education system is geared towards knocking this into your head. Model answers, ten year series, model students, marking rubrics: all these are really there to show, tell, plague and indoctrinate you to the path of the A grade. So the first step is not working hard at the subject – it is finding out where the 3-point line is drawn. What do you need for an A GP essay? Is it structure, language, examples, or evaluation? And lines are specific, not blur, so find out – what kind of structure? What kind of words and phrases? Must my examples be original, or does it suffice if I re-use that epithet on global warming killing us all that everyone uses? Do I need to be critical in my evaluation, or will a simple model essay regurgitation do the job? Or, for econs: Does it suffice if you write entirely L3 stuff? Or does the system require you to show that you do know the L1 stuff like the basic definitions? Must key words be there or do you get to creatively express yourself (read: no you don’t)? Do you really need to think, or are there freely available model answers to copy from, especially when there is sometimes simply no time to properly understand the subject? The biggest problem is idealism. We are brought up to think it is about hard work, doing things the ‘right’ way, acquiring skills over rote learning. Sounds great, but the system does not work that way. Take a look at the model essays you have. Do they really demonstrate curiosity, critical thinking, and subject mastery? Or are they masterclasses in grade-sniping worthy of Craig Harrison? The elements of an A answer are not obvious, but discernible, and are seldom about actual rather than apparent understanding. Why else the insistence on key words, key definitions, and fixed writing structures? Einstein said “if you can’t explain something simply, then you don’t understand it enough”. These key words and whatnot are in no way attempts to explain things simply. Don’t believe me? Try answering your next exam in simple language – stuff primary school students can understand. Say things like: demand is how much people want something and can pay for it; price elasticity of demand is how easily people can stop wanting something. Tell your GP tutor that issues like freedom of speech and human rights are context-dependent and capable of no easy answers; write your essays in a mature way which acknowledges both sides instead of distorting either one to force yourself to take a stand you don’t really comprehend. Let me know if you get anything above a C.
Put up an A essay and it will get an A even if you had to memorise an entire book without understanding anything within it. Even if you’ve taken all allowable shortcuts and went for every tuition class conceivable. Conversely, put up a C essay and it will get a C even if you’ve studied hard, on your own, and without expending a cent of your parent’s money on dubious enrichment classes. If you’ve been following me, you’re probably angry. You should be. Everyone is angry when they find out they’ve been lied to; that fairytales aren’t real. Schools are not like when Plato first invented them. They’re not about individual teacher-student guidance and achieving philosophical epiphany and epic meaning. They’re industrial plants necessary to produce people who will produce things. 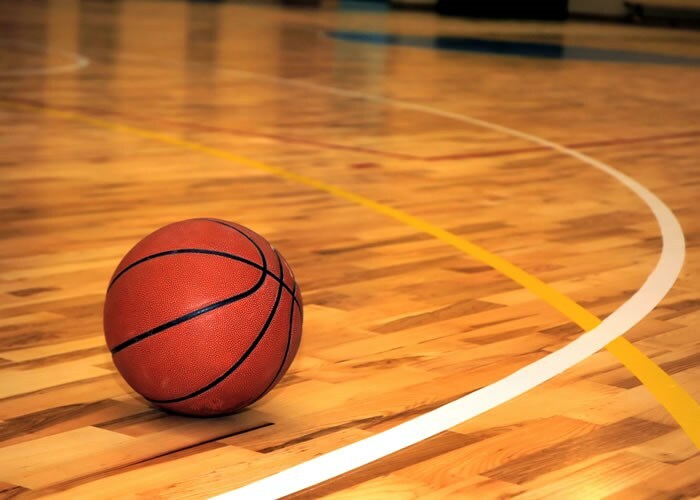 If you’re playing basketball, chances are you don’t give a dime whether your point guard understands quantum physics and how it may affect a basketball’s trajectory. You just want him to pass with speed, accuracy, precision – howsoever he does it. So no one really cares how you get an A as long as you do. Provided you don’t cheat – but cheating is tremendously difficult to define nowadays. Say you buy an essay online (google “buy essay online” – it’s more common than you think) and your school doesn’t realise. You get an A. Is that cheating? Say you didn’t buy it, but did lots of research and found a good one, which you promptly submitted. Is that wrong? It’s plagiarism, technically, but some of us no longer believe it’s cheating if you don’t get caught. It’s a two-way thing. Degrees now cost hundreds of thousands. You could have bought a house with that money. If you don’t get a proper degree, you’re sinking in all that for near zero returns on investment. It’s all about the bottom line, isn’t it? If you’re angry that’s good. And important. It means you’re smart. Smart enough to find the 3-point line, but also to know that the line is only there because we say so. Because the rules say anything within the line is only worth 2 points. But you get to decide otherwise. That doesn’t mean you can change the rules though. If you want to play the exam game, you have to play by the rules. Whatever you do, you’ll get the points they say you’ll get. But you can play another game – the game of being a good shot, for example. The game of learning and not exam-taking. It won’t be easy. The system naturally rewards those who live by it. If you want those rewards, you have to as well. It is an unfortunate incident of modern life that it is phenomenally difficult to abandon the system. If you’re in JC especially, you can’t really say, “I’m done with exams, now to real life”, even if that’s a good path for you. Have the pragmatism to know what you need for good grades, the intelligence to know what you need for a good life, and wisdom always to know the difference. Remember: If you’re standing in the 2-point area, no matter good you are, you will never get 3 points. If you want an A, you have to do things which the rules say will get you an A. Now you have the ball. What will you do?